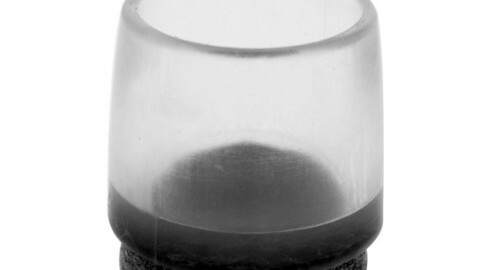 To begin with, these end caps are transparent, meaning that they can fit subtly to the feet of your chair, tubes, tables and various other furniture pieces without obtruding and conflicting with the colour scheme. They are also malleable, meaning that they will fit comfortably to your chair feet, table legs or other tube ends and without chipping, cracking or shattering upon application and impact. To cap it all off, they have felt pads applied to the underside. These felt pads offer protection to a wide range of flooring; from wood and laminate to carpets and marble, the felt padding of these end caps will prevent against scratches, scrapes and carpet damage. Unlike stick on felt pads that you can pick up from the shops, these ones are already firmly attached to the end cap to prevent them from detaching or misshaping during moving, sliding or during added pressure to the furniture unit. 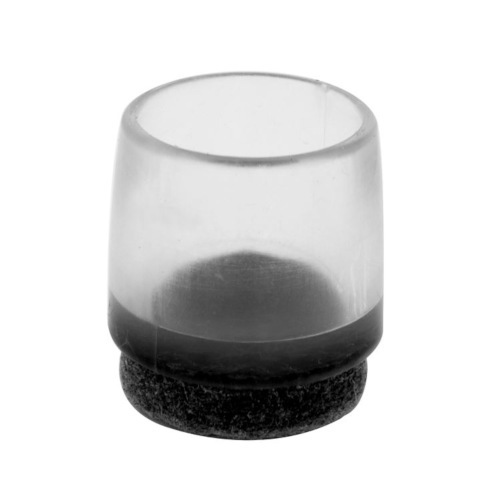 You can see our full range of Transparent end caps with felt pads HERE! We also offer a wide range of Tube & Wire Fittings that range from Inserts, connectors and adjusters to ferrules, feet, caps and brackets! Visit us online to view the full range. Can’t find what you’re looking for? By default, we list the standard colours and sizes, but variations in colours and dimensions may be available on request. Please note that variations are subject to minimum order quantities and longer lead times. Contact us for more information.